With the advent of social media and micro blogging sites like Facebook and Twitter, Social Media has become a popular method for marketing, communication and community building initiative. The sharing and community building capacity has lured the experts in the field of online and search marketing to use it as part of their strategies. But social media has not only gained the reputation of being strong marketing tool, however, there many deeper concepts and strategies that are very necessary to evaluate the role of social media and full utilization in field of SEM, SEO and digital marketing. 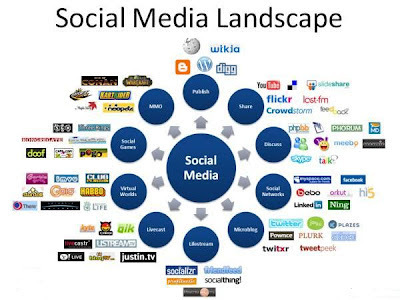 • Impact of social media on search marketing: Social media has become a very impressive method to connect and share and people even use it as mean to discuss their search results. Bookmarking is one such method, where searches are bookmarked and then become social and viral. The rapid growth of social bookmarks, news, networking, messaging and media sharing has only enabled more social interaction of searches. The social media sites like Twitter, Facebook, Yahoo Answers and MySpace and other are used as authentication platform for any piece of information. People believe views about a product or service on social media more formal than of formal marketing messages. • Social media and SEO: For a SEO, content optimization is more than keywords and links. It is an entity that can be shared and discussed about to meet out the social requirement of communities. Companies are now using rich media ads with social features. Links are added to the ad, so they can be shared and commented. Time consumed on the social media is spent on in interactions with like-minded individuals in a community or network. Recommendation is one of the popular methods to share views on social media. Social media site must be interpreted as place to create content catering to other’s need. The content should feed up SEO as well as social web requirements. Social media efforts that can create conversations and viral can make a good impression upon queries on the keywords. As it is clear the usage of social media is very imperative for overall SEO result in a scenario when social media has grown so big that it is even threatening even existence of conventional search engines. Here are some tips are discussed that bring the best results for your SEO efforts. • Develop good content: Don’t limit your content only to a blog post or comment; there are many different types of content which spread socially very fast. Widgets, white papers, case studies and apps can do a wonder for the social media efforts during online promotion campaign. • Make content to be linkable: The linkability of site is very essential for a website, in case, it is a Static site that is rarely updated with content. Adding a blog to a website is a great method to increase its link ability. Creating whitepapers, webinars, and case-studies is another good way to increase likability of a website. • Keep on experimenting: Social Media is changing every day so you must be aware of new tools, products and challenges to emerge the best in social sphere. • Create a SMO Strategy: While setting goals and objectives a SMO strategy can be formed. When making a strategy, be clear about the result with respect to reputation, sales, influence, credibility, charity, traffic/page views, etc. the entire strategy must be weaved around an idea. • Make it simple to tag and Bookmark: Along with content add the features like buttons for adding to the social media sites to make the process of tagging much simpler and easy. There must be a list of the relevant tags, suggested notes for a link. • Pay importance to inbound links: There should be substantial amount of inbound links to a blog or website. The permalinks should be used to garner better SEO results. List recently linked blogs to your site. • Let your content to move around: Make content also is a portable format like PDFs, video files and audio files. After develop submit them to relevant sites as it would help the content to move further. • Participate: Become a part of conversation: By communicating with your audience create awareness and buzz about your product or services. However, be real, simple and sober during the conversation, otherwise the entire social media effort made by you can result a snowball effect. • Target Your Audience: Don’t make any SMO effort without knowing your target audience. There must be some sense of realism in promoting a product or services. It is clear that in coming times social media has to play pivotal role in online marketing and business development activities for the companies. 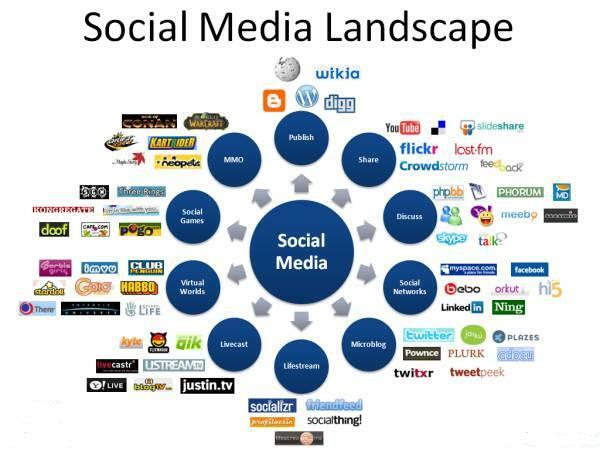 Social media would be used in many ways for its integration into normal business activities. From its many potential usages it could be employed by the companies for the marketing intelligence by collating data provided by social media. Social media would be instrumental in shaping the marketing campaigns of the future. Facebook is very important in this aspect. After having one billion users, Facebook will go beyond the numbers of Fanpages users, now it will be quality of Fan Page members beyond numbers. There would be Facebook only promotion, which is a foreseeable possibility for future marketing strategies It would be online traffic driver and would be used by retailer and small businesses extensively. Next level of SM activities will include the expansion of Google+ and its further useful integration with paid search ads, Google Reader, YouTube, etc. The coming time could be of Google+. After Google Panda, there would be more focus on unique content instead of SEO friendly content to get online traffic. With extensive expansion of mobile phones, people will get more and savvier towards local SMO integrated with mobile. And finally it is the social media that some extent drives SEO activities for garner better business activities.